It has been a few months since I started selling cakes online. There were ups and downs, of course. Sometimes when I saw other professional chefs I got scared, I lost my confidence. The business itself wasn’t in my plan at first. I’m young, I still want to learn a lot more but not everything you want could be bought with money. People keep telling me that I’m young, that I still have a lot of time, that it’s easier for me to learn stuff. However, I think they’re wrong, even if you’re young, does not mean you can just relax, does not mean you learn better, I think someone learns better when there’s willingness, when there’s passion. I’ve been selling typical indonesian cakes and they are totally different from french patisserie. Sometimes I felt that the skills that I’ve learned before are just useless because I no longer used them. I was really upset but I know not everything goes as plan and you just have to make the best out of it. I started looking for ingredients and equipments for french patisserie (really difficult to find). 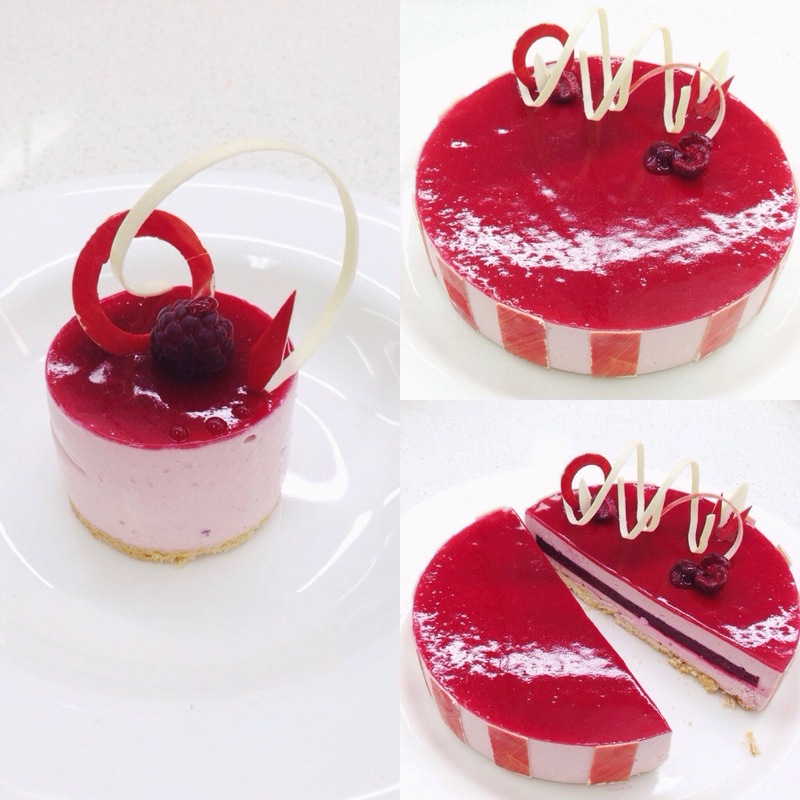 I made an entremet, my favourite dish when I was in school. It felt amazing and I fell in love with it all over again. One day one of my loyal customers ordered a Valrhona Opera Cake. It has so many memories, it was indescribable. When I made it, it reminded me of the reasons why I did all of these, I love to cook, it’s my forever love. I realize I have to fight my fear of other people’s capability of creating things that are so much better me. Do what you can do best and keep learning. A dream is like the moon and the stars. Many people know it exists but not many people believe that they could actually get there, not many people are willing to work that hard to get there. In the past people would think that it’s not possible to reach the moon, but eventually people found a way to get there and actually landed on the moon, now the impossible becomes possible. I’m here believing that I would get there someday, I would try my very best and if I didn’t reach it, that’s okay too,I know something better would come along to those who work hard enough for their dreams. Now I really understand what “nothing is impossible” means. Let’s rewind a little. A few weeks ago we had an entremet week, a week when we made entremets. 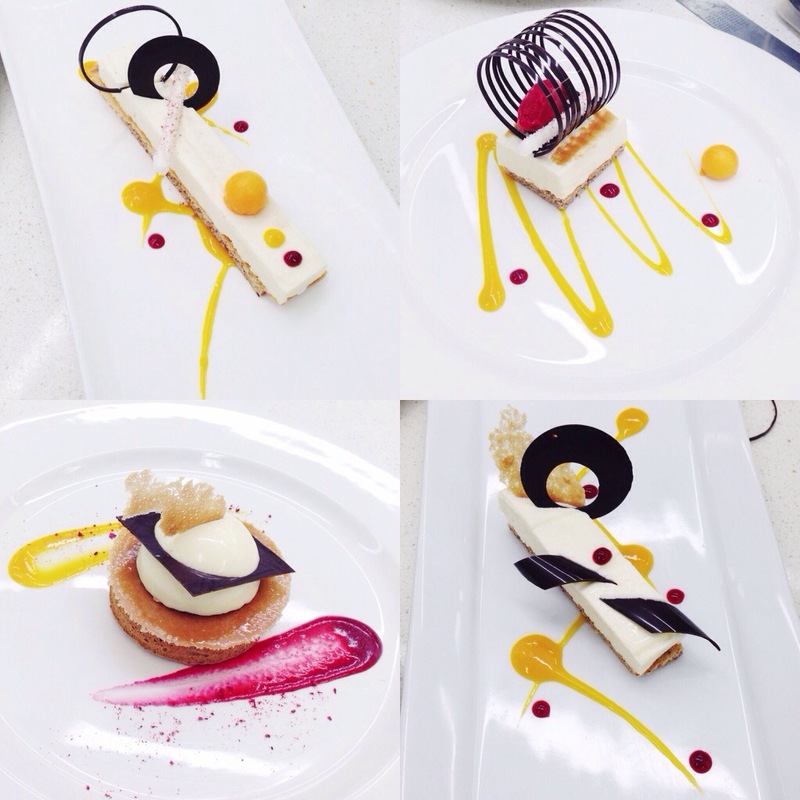 I love those lessons, we learned different types of products that we can assemble as an entremet. The photo above is a chilled cheesecake entremet, layered with scottish shortbread and raspberry gelee insert, glazed with raspberry mirror glaze. It’s a really simple entremet and yet really delicious. It’s almost like a normal chilled cheesecake with but with a little surprise in the middle which is the raspberry gelee insert. I also made a small version of the entremet (photo on the left) sooo cute and also can be used as plated dessert. I garnished the top of the cake with tempered chocolate which some have been coloured using a coloured cocoa butter. It’s quite a challange for me to work with the cocoa butter, I hope I could do it perfectly by the end of the course.